1:50,000 These maps are the most zoomed-in you can get in Canada; they have the highest level of detail and are great for short trips. 1:250,000 This is the classic zoomed-out map where each grid square measures 10 km x 10 km. These are good if you are travelling longer distances so you don't have to carry as many sheets with you. Unfortunately, you do lose some detail relative to the 1:50,000-scale maps. 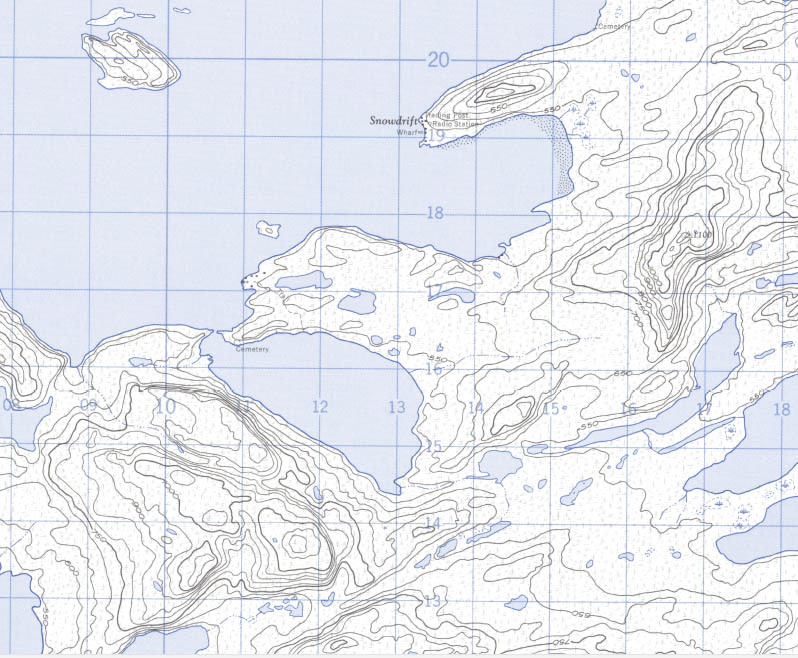 Example of a 1:250,000-scale map of the same area. Note the loss of detail. Second, you need to know what the map sheet number is of the map you would like to print.To find your map sheet number, use the NRCAN NTS index map (found here) and look up your number. For the purposes of this tutorial, I'm using the index map for northern Canada. 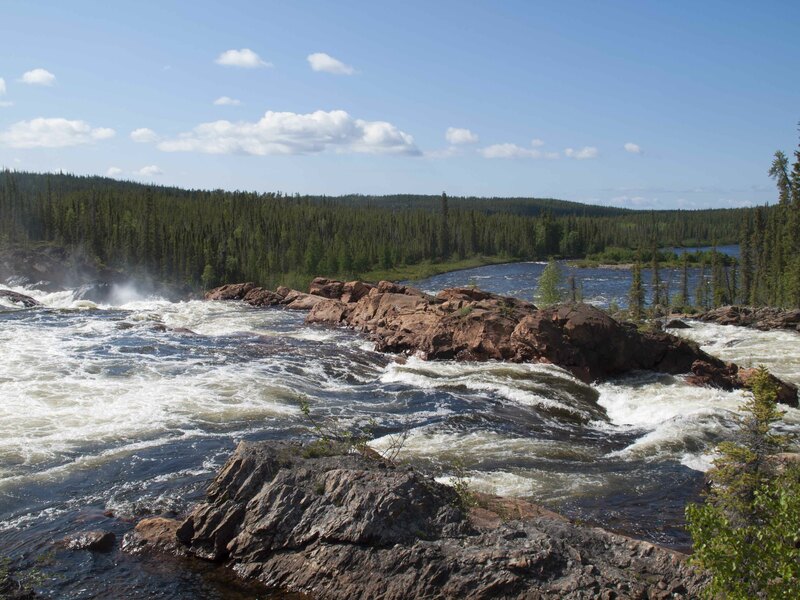 For this example, we will use the community of Lutsel K'e. Both the 1:50,000 and 1:250,000 map sheet numbers are on the same index map. The 1:250,000 maps end with a letter representing a large map-grid area, whereas the 1:50,000 has the letter and ends with a number representing a numbered subsection of that map-grid area. 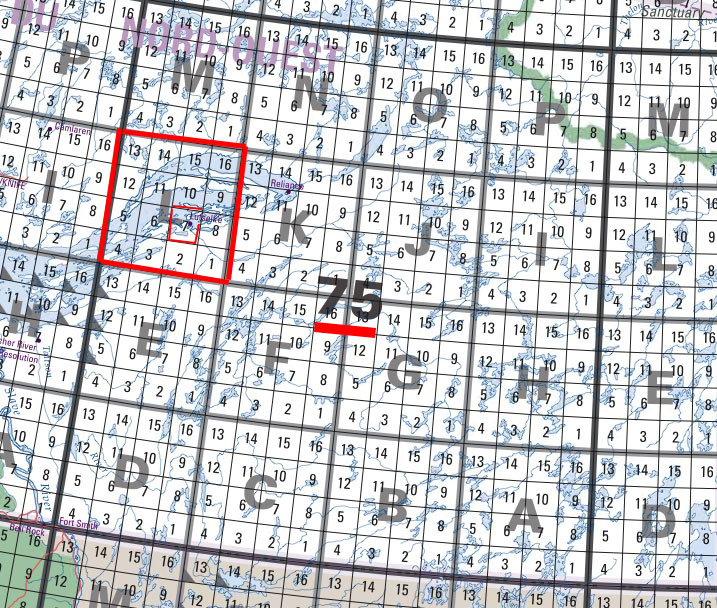 There are 16 numbered subsections in each lettered map-grid area.So for Lutsel K'e, the 1:250,000 map sheet is 75L, while the 1:50,000 map sheet is 75L7. 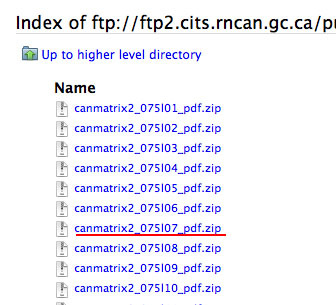 Now that we know the map sheet number, all we need to do is go to the NRCAN FTP site and select either 250k_pdf or 50k_pdf depending on which scale of map you are looking for. First lets find the 1:50,000 map. So, select 50k_pdf and find the initial number in the map sheet number we want, which in this case is 75. Select 75, and look for the letter L; click on that. In the new folder that opens up, it becomes slightly more complicated. Look for the map sheet number in the file name; in this example, the website's use of lowercase letters can be confusing, as the letter "L" looks a bit like a "1". I've attached a picture below of the file we want underlined in red for clarity. Next, download the file. Unzip it and open the PDF file inside the folder. This PDF is ready to be printed in large map format. Now you need to go find yourself a large printer (or a plotter). This may in fact be the hardest part. In Fort Smith, I use the one at Cascade Graphics for a small fee. In the more remote communities, you may have to go to the hamlet office or the school to find one. John grew up in national parks across the Northwest Territories and developed a lasting love of wild spaces and the people who live in them. 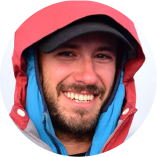 His passion led him to study archaeology and anthropology, and he has spent the last decade living and working in the NWT as a multidisciplinary consultant in environmental science, anthropology, education, and wilderness safety. Notably, John has been involved in the Species Status Report for Barren-Ground Caribou in the NWT: Traditional and Community Knowledge Component, the 2014 Government of the Northwest Territories Wildfire Report Card, and the Enbridge Renewal study for Liidlii Kue First Nation, among other projects. Very helpful. I’m sure the Canadian Rangers in my patrol will find this very valuable. It’s definitely one of those handy tricks out there. Its not that the maps don’t match the coordinates used in your GPS, but that they utilize a different datum then what is set as the default in most GPSes. 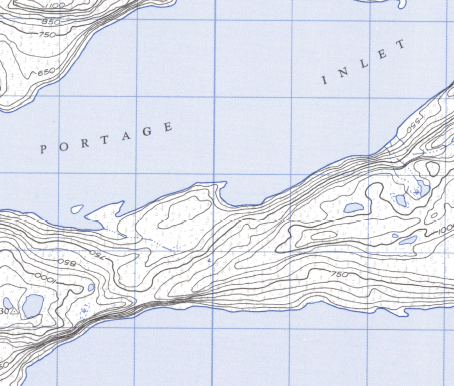 These old topo maps are either in NAD83 or NAD27, whereas your GPS will be set to WGS84. So if you want the coordinates in the topo maps to line up with your GPS you need to switch the datum. 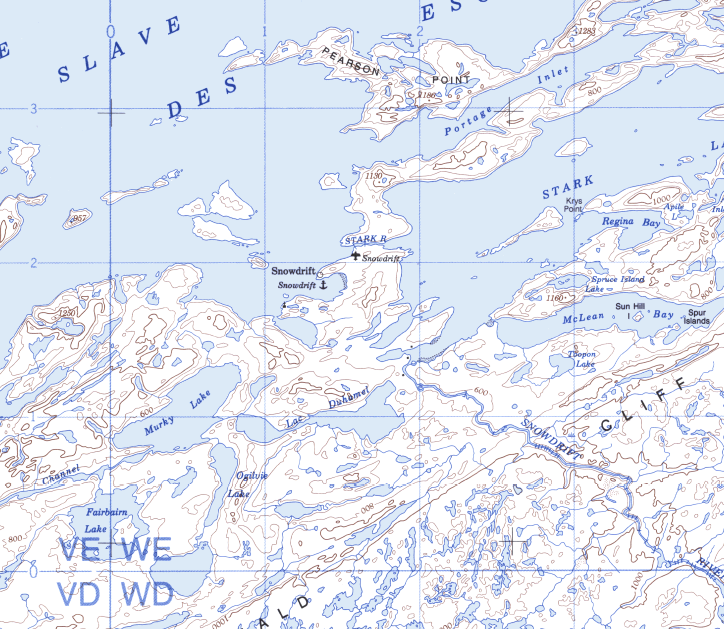 Yes these maps are old, and unfortunately these are the most current topo maps in the NWT. For the most part the landscape features are still accurate. The Geogratis site you linked to is how you get to the FTP site mentioned in the aforementioned blog. Scroll down to the heading : Digital Topographic Data to see the links.